Let it be sweet or edgy style. If you do want to make people look at you as at a sweet girl, then go for all white outfit with a white shirt, white tweed skirt, and white sneakers. If you are more into an edgy and grunge-inspired look, then you can team a black tee with a printed midi skirt and buckled ankle boots. Check out this cool combo for Summer months. We see a pair of metallic silver pants teamed with a tank top worn under a strapless black top. In love with these black-white striped heeled pumps. If you can’t decide what to wear his Summer, then I recommend checking out the following two outfit ideas. The first one consists of a strapless dark red dress completed with white slides. The other one is a bit relaxed and sporty. Go for a light pink top in knife-pleats and white tennis skirt. Complete this athleisure combo by adding chunky sneakers. If you are in search of an elegant outfit that can easily make you stand out from the crowd, then I’ve got a very special look for you to try. It’s a red-white striped maxi dress with a wide white belt. Complete it with drop hoop earrings. If you want to brighten up your look this Summer season, then I highly recommend trying on some white clothing. 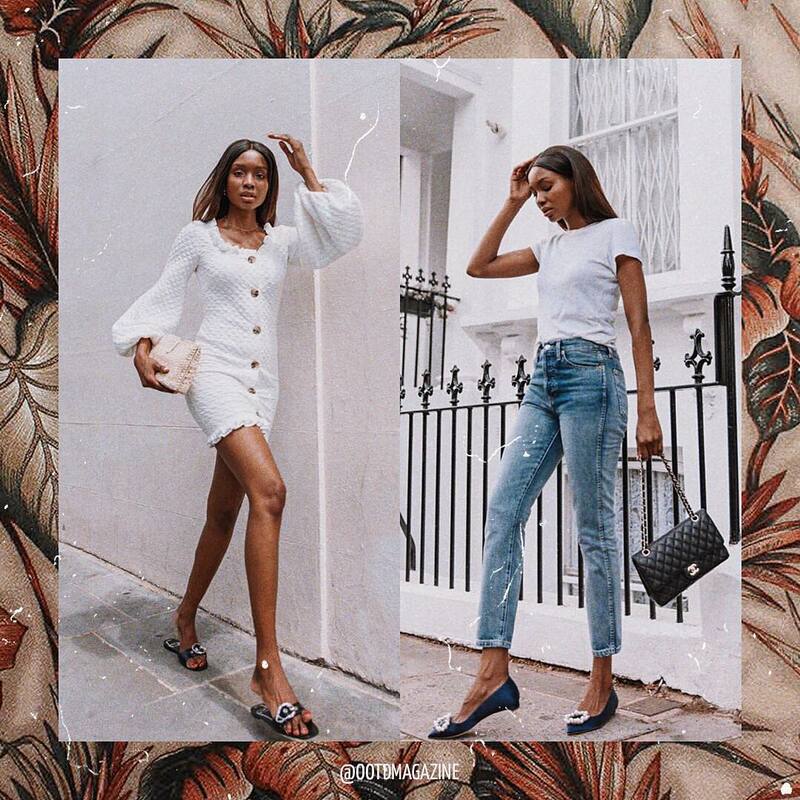 You can either go for a white dress with gold buttons and puffy sleeves completed with dark blue slides or keep things casual by teaming a white T-shirt with ankle strap wash jeans and pointed-toe dark blue flat pumps. 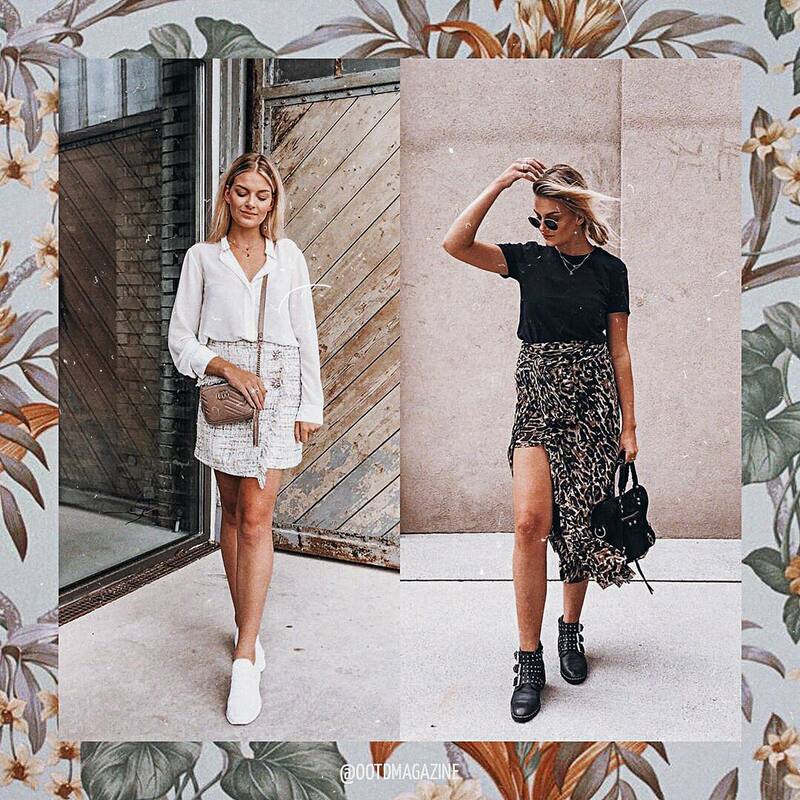 Both outfit ideas are cool for Summer days. Have fun this Summer season by wearing this amazing airport outfit idea. We see a sporty look consisting of a black baseball cap, white tank top, light grey tailored joggers and white sneakers. You definitely should give this combo a try! It’s relaxed, comfortable and easy to wear. If you do like casual style, then this Summer outfit is what you need! We see a wash blue front tie chambray shirt teamed with black leggings and tiger print flat pumps. Complete this combo by adding aviator sunglasses.